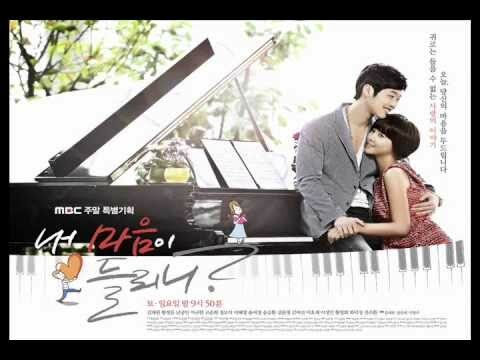 Can You Hear My Heart ( 내 마음이 들리니; RR: Nae Maeumi Deulrini) is a South Korean television drama broadcast by MBC starring Hwang Jung-eum, Kim Jae-won and Namgoong Min. 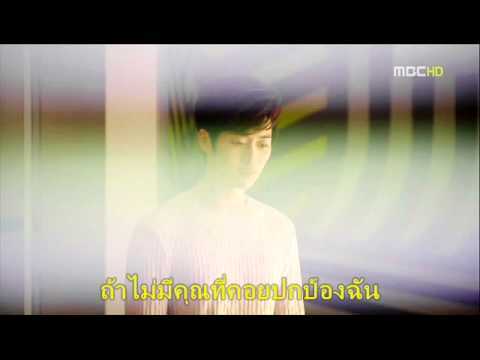 It aired on MBC from April 2, 2011 to July 10, 2011 on Saturdays and Sundays at 21:45 for 30 episodes. The love story of Cha Dong-joo (Kim Jae-won), man who's been rendered deaf after an accident but pretends he can hear, and Bong Woo-ri (Hwang Jung-eum), a woman who's intelligent but pretends she's dim-witted to protect the dignity of her mentally handicapped father. She has been looking for her step brother, Bong Ma-roo, who ran away from home 16 years ago. What she soon finds out is that Jang Jun-he (Namgoong Min), Cha Dong-joo's brother, is Bong Ma-roo himself. 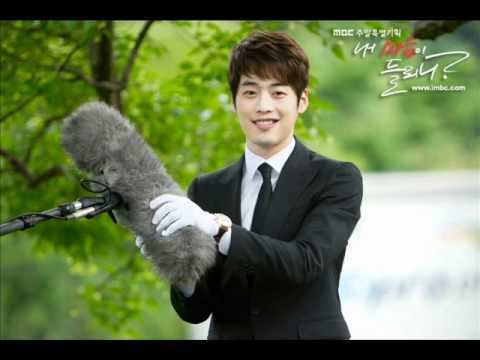 // ZIA(지아) Can You Hear My Heart(내마음이들리니) OST 들리나요 0 views runtime : 0:03:57 ..
// [M_V]Can You Hear My Heart(내마음이들리니) OST 바보야"05:17" 0 views runtime : 0:05:17 ..
// "내 마음이 들리니" piano cover 0 views runtime : 0:02:25 내 마음이 들리니 ( Can you hear my heart ) OST sorry for mistakes and bad quality!..